India is a democratic nation and every citizen here has the right to vote for choosing the government. But for that, you must have a Voter ID card. It is issued by the Election Commission of India and is used as a valid identity proof too. 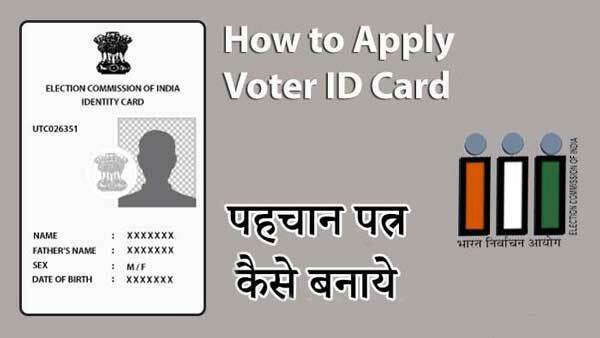 The application process for the Voter ID card in Chandigarh is mentioned below. The age of the applicant must be over 18 years. You have to click on the tab, ‘National Voters Service Portal’. There you will get the option, ‘Apply Online for registration of new voter’. Click on that. You will find the Form 6 on your screen. Fill it up with appropriate information. Now upload the scanned copies of all required documents. Submit the application after check it carefully. Note down the application number visible on your screen. It can be later used to track the status of your voter id card. The verification of your address will be done by a Booth Level Officer. After that, you will get your voter id card issued and sent to you via post. You will get a receipt after submission which will carry a reference number. It can be later used to track the status of your voter id card. The Booth Level Officer will then visit your house for verification purpose. After verification, your voter id card will be issued and delivered to you via post. You can check the status of your voter id card by visiting http://ceochandigarh.gov.in/. You have to click on the tab, ‘National Voters Service Portal’ and then click on ‘Track Application Status’. Now, enter the reference number or application number to check the status. Proof of Age: Birth Certificate, Passport, Aadhaar Card, Driving License, etc. Proof of Address: Ration Card, Passport, Bank Passbook, Driving License, etc.